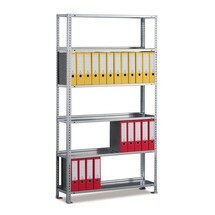 Instead of £273.00. 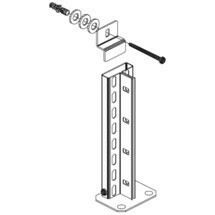 You save £13.65 due to the online discount . 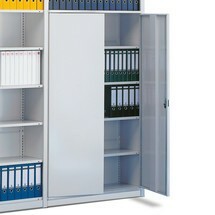 Over time, companies can easily gather large volumes of documents. 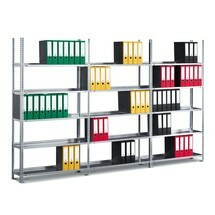 These single-sided META file shelves feature easily adjustable levels for clearly arranged, space-saving storage of your files and other important company documents. 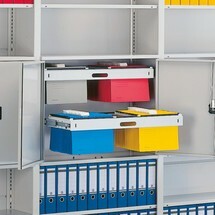 Boltless shelving represents an ideal solution for storing and archiving files, folders and other office materials. 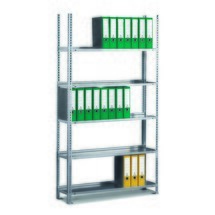 With simple assembly and easy expansion, boltless shelving helps to bring order to your documents. 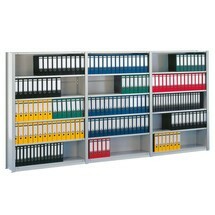 As single-sided META file shelves, you can use this light grey base unit as a room divider or attach it to an office wall. 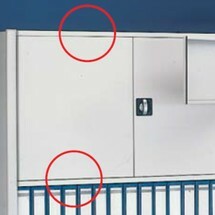 The 25 mm hole pattern allows you adjust the shelves to the size of your stored goods. 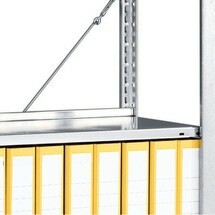 In addition, the boltless construction enables rapid assembly and conversion of this light grey shelf unit. 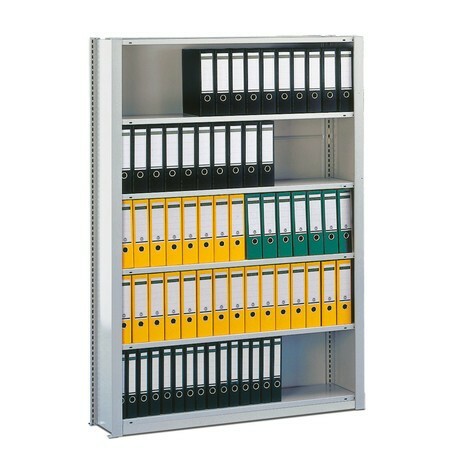 The open design ensures that your files and other documents are always easily visible. 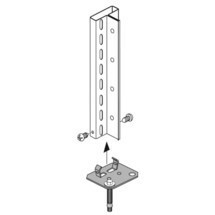 Opt for a flexible solution and order this META boltless shelf unit from our shop.